My DNA background is a mixture of Native American, European, a dash of Asian and Northern African. My cultural background is Mexican. A traditional dish for holidays is tamales! 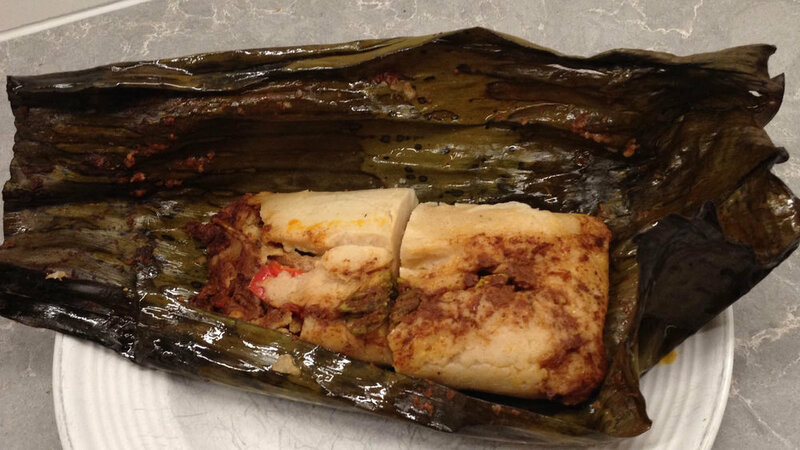 I love to explore different cultures and this week I sampled a tamale from a Guatemalan cook. My family uses corn husks as a wrapper and a masa made through nixtamalization (soaked corn in a alkaline solution = hominy). I believe this tamale was also made with the same type of masa but the filling was a bit different as it had bell pepper, pork meat, and seeds. This tamale was very, very yummy and large enough to share with my willing husband! Go forth and explore! Visit my website at www.brainstorm3000.com to learn more about different cultures.